To start a successful business many would say you need a huge amount of funding or an extortionate amount of materials, but not today. Many businesses are started with little money, an internet connection and dedication. We all want to feel legitimate and successful but let’s discuss the 3 things that many of us may feel we need right away, but actually don’t. You’ve started your own business and now you’re ready to feel accomplished. So renting a fancy office is the next step, right? Although it’s nice to have a space away from home that you can work in and feel like the rest of the world, commuting to work. The only difference is, those commuters are going to a job they get paid for. You on the other hand will be going to pay someone to work in their space. Why not work from home and save on paying additional rent. Head to the local library or coffee shop a few times a week. Use the money you would spend on renting office and revamp or build a home office. Get the big, fancy office space in a few years. You can have a presentable website made so for much cheaper nowadays. This isn’t 1998 anymore. It’s unnecessary to spend 5k on a website when they’re so many cheaper alternatives out there. Especially if you only want a website to display your business details rather than sell products for example. WordPress and Squarespace are great examples. In a few months or years time you can always up your budget to upgrade your site or add new features as you go, but as a startup prioritise your costs. At least not yet. It’s easy to get carried away with marketing materials, you have a nice shiny new logo and you want to display it on anything and everything. Do you really need letterheads if you actually won’t be sending them? Don’t splash out on business cards if your business is in the very early stages. This is dependant on your business of course. If you already go to networking events or deal with the public on a daily basis then you’ll probably need them sooner. However purchasing thousands of cards or leaflets isn’t necessary unless you plan on handing them out door to door?! The website you build should be good enough to be your business card in many ways. 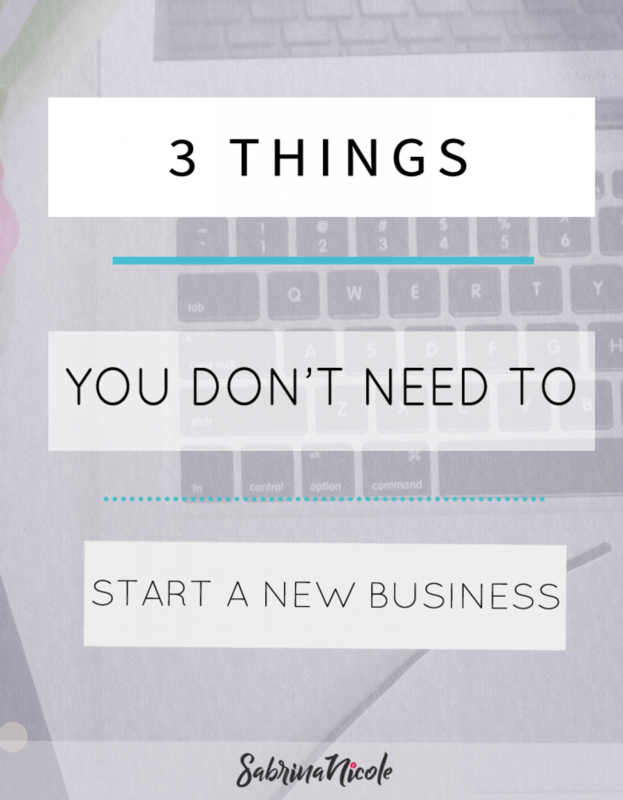 Can you think of any other things that you don’t need to start a new business? Let’s discuss!